These are NOT your typical, cheap, flimsy battery boxes! Made in the USA, the rugged, rotationally-moulded Noco Commercial Battery Boxes are built tough! 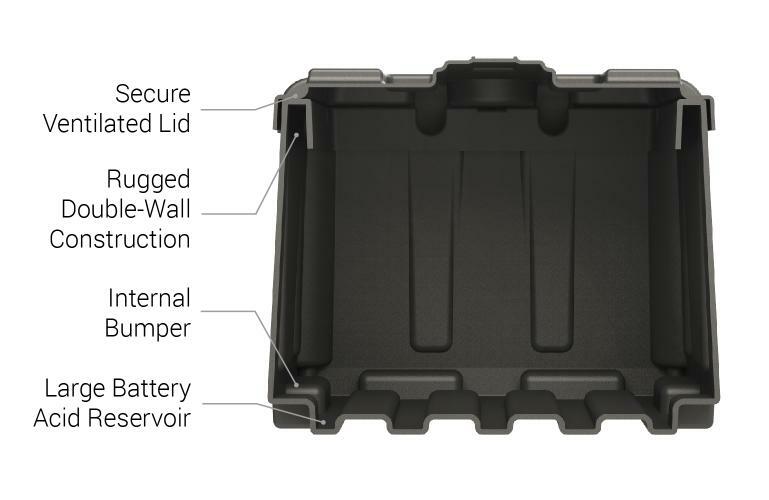 Designed with several structural advantages that give them an edge over other boxes on the market, including a four-corner fastening system, captive, screw down lid design and large cable entry holes for heavy gauge wire, these commercial grade battery boxes provide a reliable storage solution for a wide range of tall (N200) batteries as used in many trucks, marine, RV & commercial applications. A battery box for extreme conditions. Structurally enhanced battery storage solution that maintains its tough impact properties down to -20 degrees Fahrenheit, and its reinforced heavy-duty handles make battery relocation easy without cracking. The Noco HM484 is designed internally to accommodate most tall (N200) batteries, including those found in trucks & commercial vehicles, larger boats, campers, motor homes and caravans. 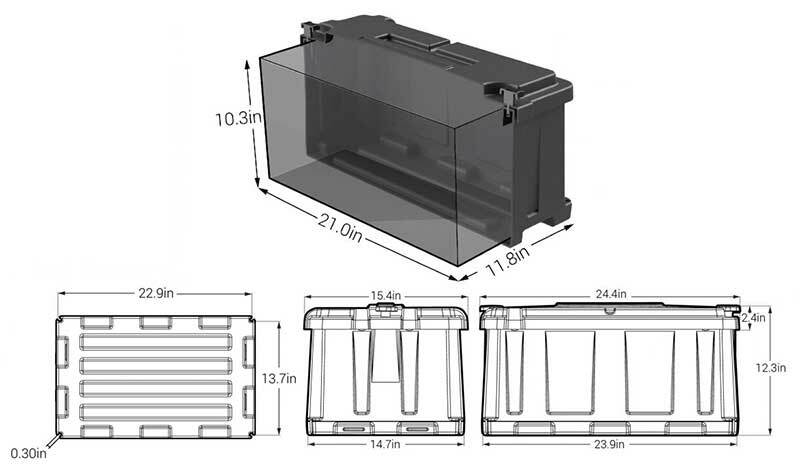 Check out the external battery box dimensions below to help determine if this box will suit your particular application. 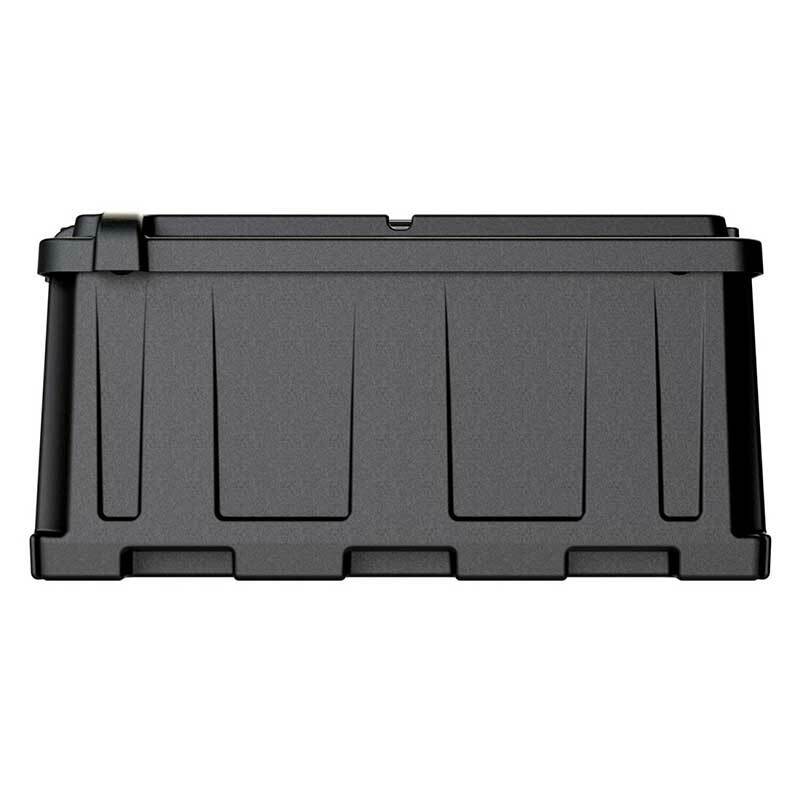 NOCO HM426 HEAVY DUTY COMMERCIAL BATTERY BOX DUAL 6V ED10S 14.6"